Language interpretation enables the listener to understand the speaker, even when they speak different languages. 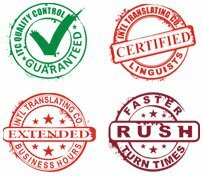 Through ITC, you have access to over 23,000 professional interpreters covering any conference, meeting or event in the world. Whether your requirement is a personal, sentence-by-sentence solution or real-time interpreting at a large venue, our well-versed interpreters are capable of effectively conveying the dialogue quickly and accurately. Understanding – You want your customers, business associates, and employees to understand you and each other. The on-site interpreter helps them to make sense of your message in a language they understand. This promotes understanding, happiness, and a less stressful event. Interaction – Whether you’re organizing a formal conference for your clients from all over the world, or bringing a small group of business leaders together, having an interpreter promotes interaction and socializing among your participants. The interpreter helps cross the boundaries of language that could prevent a beneficial sharing of information, ideas and friendships.